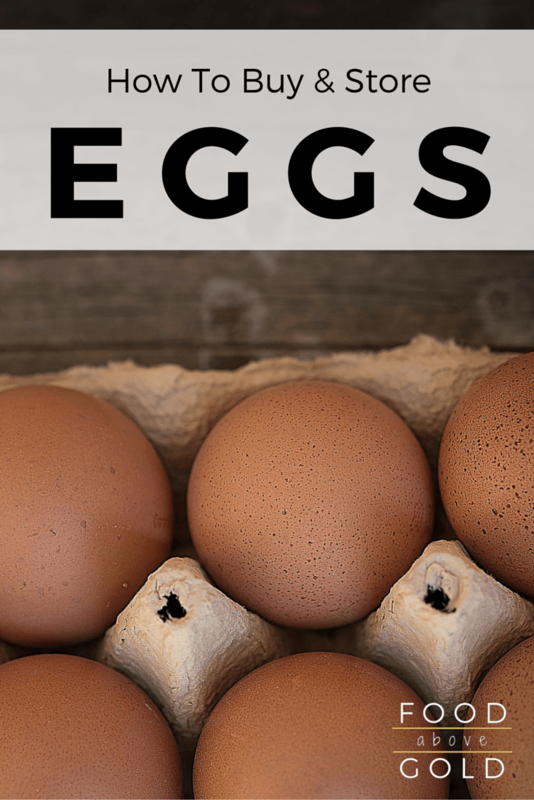 Learn how to navigate your grocery or farmer’s market to buy the right eggs for you. Plus, how to keep them fresh when you get them home! Eggs are such a staple ingredient that most people are in autopilot when they’re at the store. You’re probably thinking, “She’s going to remind me to check for broken eggs”, when you read the title of this section. While yes, that’s a good habit to have, let’s go even further to understanding which type of eggs you should buy. Color. 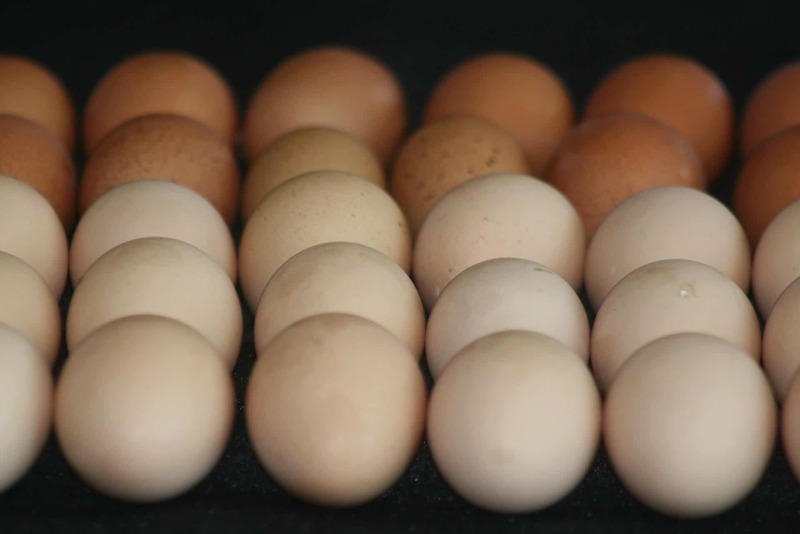 The color of your eggs has more to do with the breed of animal that laid it than it does quality. The way the bird was raised, as well as it’s diet, is more likely to impact the flavor of the egg than the shell color. Grade. The most common egg grades that you’ll find at the store are AA, A, and B with grade A selling most commonly. The things that impact the grade include: how clean the eggs are, the size and shape of the yolk, the firmness of the white, and the quality of the shell. A few too many bumps on the egg, or an inconsistency in shape may disqualify the egg from a higher rating. It is a common misconception that the grade of the egg has to do with size. It does not. The average total weight of 1 dozen eggs determines the size. Size. The size of your eggs (Jumbo, large, medium, etc…) is based on the average weight of the egg, with large (the most common) weighing around 2 oz. per egg. This is helpful in baking, where you need precision, but shouldn’t make a difference for your breakfast. If a recipe does not specify the size of egg, it assumes that you will use large. Shells. This is that moment where I remind you to check the shells. I also want to remind you not to just open the carton and look at the top of each egg. The eggs may be cracked or stuck to the carton, so jiggle or lift them to check the bottoms. Certified Organic. This is a USDA certification, and the farm must sell at least $5,000 in eggs annually to qualify. These animals are not caged and eat an organic diet that is untainted by synthetic fertilizers or pesticides. Cage Free. While not confined to cages, these birds might be as tightly packed as an overstuffed box of crayons. They usually do not get outside time, either. Free Range. These birds have a shelter to stay in, as well as outside time. Their outside time may not be in a pasture though, it may be on a concrete lot. Instead, keep watch for “Certified Humane” eggs. This means the birds have at least 6 hours outside time and at least 2 square feet to roam in. Vegetarian. This means that the animal itself is vegetarian and does not eat any animal products. Keep in mind that eggs come from birds, and birds eat worms. While the diet the farmer feeds them may be vegetarian, it is no complete guarantee if they are given freedom to roam. Omega-3. These birds eat a diet that is high in omega-3 fatty acids (usually in the form of flaxseed) so their eggs are higher in omega-3’s. A normal egg has around 30mg, while an omega-3 egg can have as much as 350mg. Pasture Raised. The picturesque acreage with free-roaming chickens that pops into your mind, that’s pasture raised. With up to 100 square feet of space to roam, your chickens have plenty of space to enjoy a natural diet. California Egg Shell Safety Compliant. This a recent law in California that requires that each bird have enough room to stand, lay down, spread their wings, or turn around without touching another bird. Just like with USDA beef labeling, there are independent organizations that provide certifications. While not government regulated, these stamps usually mean that the farmer has decided to hold himself accountable to a standard, which is a step that others may not take. Some common certifications for eggs are: Food Alliance Certified, United Egg Producers Certified, Certified Humane, Animal Welfare Approved, American Humane Certified. *Note: Natural, cage-free, free-range, and pasture-raised are all unregulated terms, so there is no guarantee the farmers hold to their description. The cost of these eggs is often much higher than conventional eggs at the grocery (as much as two or three times higher), but to many, it is worth every penny! A simple google search will tell you if there is a farmer’s market or CSA in your area, but you can also check out LocalHarvest.org, which will connect you with a farm that is local (as well as show you food related events in your area!). 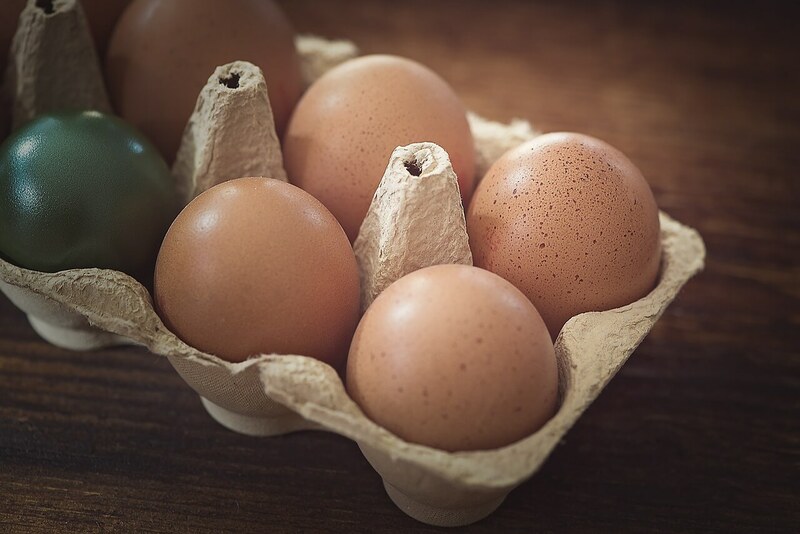 Once you get your eggs home, leave them in the carton and place them on a shelf in your refrigerator. If you have a fridge with a place for eggs in the door, avoid it. The door is the part of the fridge that is the most prone to temperature change when it opens and closes. This puts your eggs at risk of falling into a food danger zone and growing a bacteria or food-borne illness. Your eggs will stay fresh for up to 45 days (give or take based on how you purchased them) left alone like this. If you look inside your fridge and happen to notice some eggs and you’re not sure how long they’ve been there, you can test their freshness by gently placing them into a bowl of water. If they sink, they’re still fresh If they float, throw those babies out! If they hang out somewhere in the middle, it’s best to use those right away. Do you have any tips or tricks for buying & storing eggs? What are you favorite ways to use eggs? Tell me about it in the comments or show me on social media – @foodabovegold. If you used today’s post to help you with your shopping, show me a picture using our exclusive hashtag #CallMeMichelin.